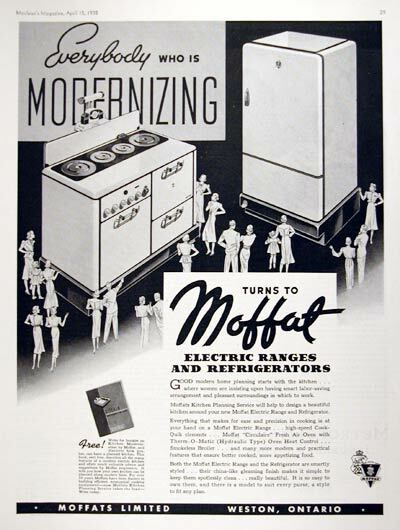 1938 Moffat Electric Range and Refrigerator original vintage advertisement. Moffatt's Kitchen Planning Service will help design a beautiful kitchen around your new Moffat Electric Range and Refrigerator. Everybody who is modernizing is turning to Moffat.